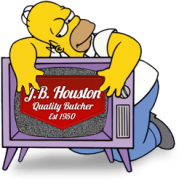 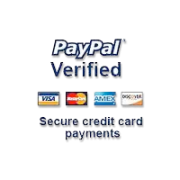 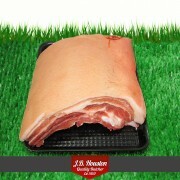 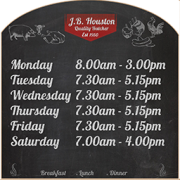 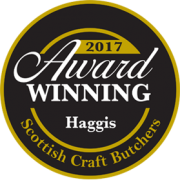 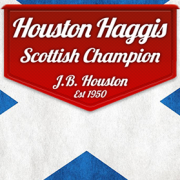 Houston's Specially Selected Belly Pork Ribs In The deservedly ever-popular Pork Belly is be..
Chicken Thigh, On The Bone Pack - min qty 2 - 220g Thighs on the bone are a really ..
Chicken Thigh Boneless Pack - min qty 2 - 220g Boneless Chicken Thighs are ideal fo.. 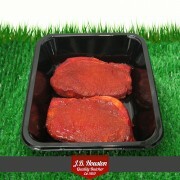 Duck Breast Plum Sauce Packed per single breast Our gorgeous duck breasts with plum ..
Chinese Pork Steaks packed in 2's - 320g Thick and flavoursome boneless pork loin steak marina..
Dragonfire Pork Steaks Thick and flavoursome boneless pork loin steak marinated in traditional Dr..
Garlic Pork Steaks Thick and flavoursome boneless pork loin steak marinated in traditional Garlic.. 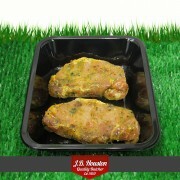 Lemon Pepper Pork Steaks Thick and flavoursome boneless pork loin steak marinated in traditional ..
Persian Pork Steaks Thick and flavoursome boneless pork loin steak marinated in traditional Persi..
Rosemary and Redcurrant Marinated Lamb Shank per shank - minimum weight 500g This meaty cut fr..
Thai Pork Loin Steaks Thick and flavoursome boneless pork loin steak marinated in traditional Tha.. 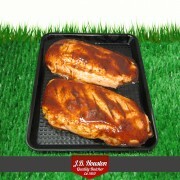 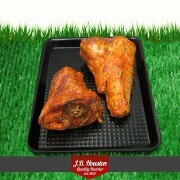 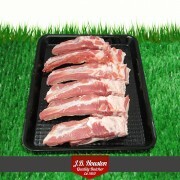 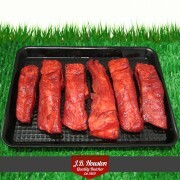 Spare Ribs of Pork Pack of 6 ribs 500g Succulent, Juicy spare ribs can be grilled, barbecued, ..
Thai Pork And Apple Burger 4" Per Burger - minimum weight 90g Cut to weight and sealed on the ..
BBQ Spare Ribs of Pork Minimum Pack of 6 ribs 500g Succulent, Juicy spare ribs can be grilled,..
Steak 5" Chilli Burger Per Burger - minimum weight 110g Our same premium steak mince with.. 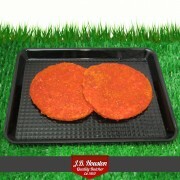 Beef Steak Burger 5" Mediterranean Per Burger - minimum weight 110g Our same premium ste.. 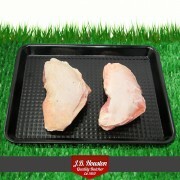 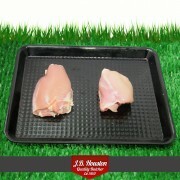 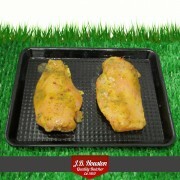 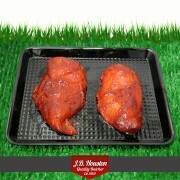 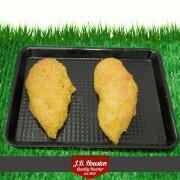 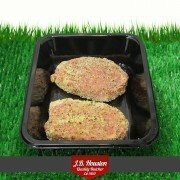 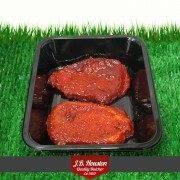 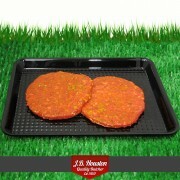 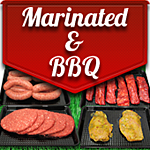 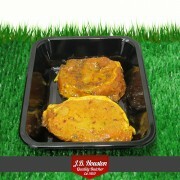 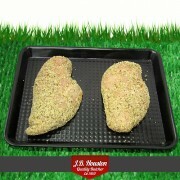 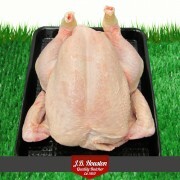 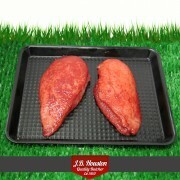 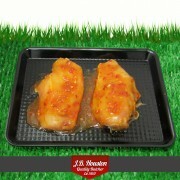 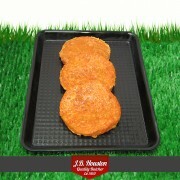 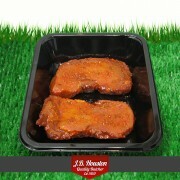 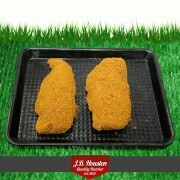 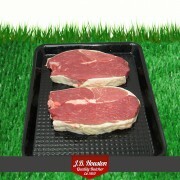 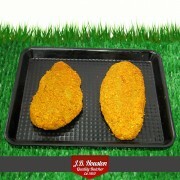 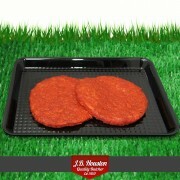 Beef, Steak 5" Garlic Burger Per Burger - minimum weight 110g Our same premium steak..